Jacksonville forklift certification and training can get you ahead! Jacksonville is a beautiful coastal city with a ton to offer, and the jobs sector is part of that offering. With beautiful, scenic sites, lovely weather and a ton of great attractions, Jacksonville is a great place to start a career. If you are ready to get your Jacksonville Forklift Training from our classes, you could be looking at a great career – even outdoors – with beauty and flexibility that won’t be matched anywhere else. Jacksonville is quickly growing, and companies are always in need of good people with forklift certification. Jacksonville employers are part of a quickly growing economy boom in Florida, with a 12% growth rate annually. If you have or are ready to get your forklift training in Jacksonville, it’s time to make it happen and take part in a great career with a company like the ones listed below. Have you ever thought about getting your forklift certification for Jacksonville, FL? Without up-to-date training, you’re not giving yourself the best chance of getting a well-paying job. 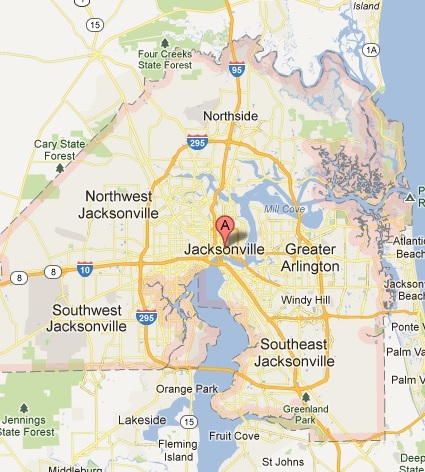 CertifyMe provides forklift training for all over the state of Florida, including Jacksonville. Employers are always looking for the most qualified forklift operators in Jacksonville. Look at hiring forklift jobs in Jacksonville, FL, from their perspective. With fines and penalties from the U.S. Occupational Safety and Health Administration (OSHA) always a concern, companies would rather not hire a forklift operator without proper training in Jacksonville, FL – or any other city, for that matter! Companies like Coca Cola Refreshments are always looking for operators with forklift certification in Jacksonville who can handle day to day operations at their company. Just hop over to their Careers website or you can go to 1707 Huron St, Jacksonville, FL 32254 to visit the site in person. Coke is a world class employer and seems to be hiring in many of the cities we’ve written about. They’re definitely worth checking out if you have the right forklift certification. Jacksonville is a better place to work because of some of the competitive working environments out there employers like Coke have to offer. Here’s a company that would gladly hire an operator with forklift certification: Jacksonville-based Owens & Minor Distribution Inc. Check out their details and offerings on their website. Another company with openings for a worker who has forklift certification in Jacksonville is Gerdau Ameristeel. They are located at 9625 Florida Mining Blvd E, Jacksonville FL 32257. You can always browse through their website for more details and job offerings. Any of these companies would be a great start choice for those with forklift training. Jacksonville companies are always looking for employees with the right training and education, and you could be a great addition to their respective labor forces. Crossdock Forklift Operator/ Pallets Forklift Operator with BJ’s Wholesale Club, Inc.
Assistant Warehouse Lead with Kaycan Ltd.
Certification opens many doors for operators and allows workers to continue to advance their careers and receive higher paying positions. There are so many different positions available for certified forklift operators, and so many work environments to suit all preferences and schedules. If you’re ready to expand your realm of opportunities and land the job you really want, complete our forklift training in Jacksonville today and apply for one of these great jobs tomorrow! These are just a few of the big names that are in need of operators with the right forklift training. Jacksonville employers are looking for people with the right experience to join their companies. Due to the dangers involved with operating heavy machinery, these jobs will be reserved for people with the right forklift certification. Jacksonville employers don’t want to responsible for accidents or injuries on the job. Although not all companies require it as a condition for hire, you can get your foot in the door with the right forklift training. Jacksonville employers are waiting – and CertifyMe is happy to help with a program that teaches skills and knowledge to prospective employees. Don’t wait – get OSHA certified today! Free 3-year renewal training – good for as long as you’re a forklift operator in Jacksonville! Nationwide OSHA accepted training – your forklift certification is good in Jacksonville, FL and all over the United States! Convenient print-and-file certification – your employer in Jacksonville, FL has near-instant access to your forklift certification and training records. CertifyMe simplifies and streamlines the entire OSHA training process. Interested in working in a city near Jacksonville? Learn more about forklift certification in Florida.